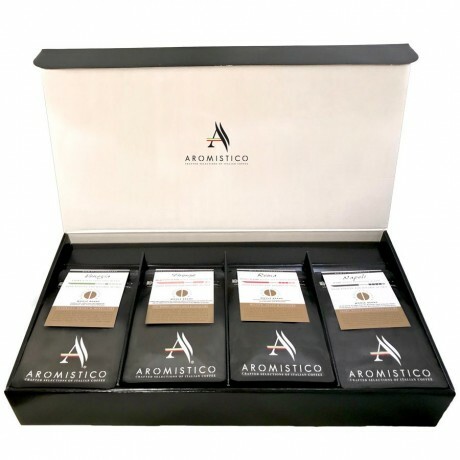 Premium artisan gourmet hand roasted coffee beans matured in Italy. ITALIAN GOURMET ARTISAN HAND ROASTED COFFEE BEANS, ROASTED IN LAKE GARDA, ITALY, IN SMALL BATCHES WHOLE BEANS COFFEEs, SUITABLE FOR ALL COFFEE MAKERS VALVE and EASY RESEAL BAGS, NOT AVAILABLE IN SUPERMARKETS. 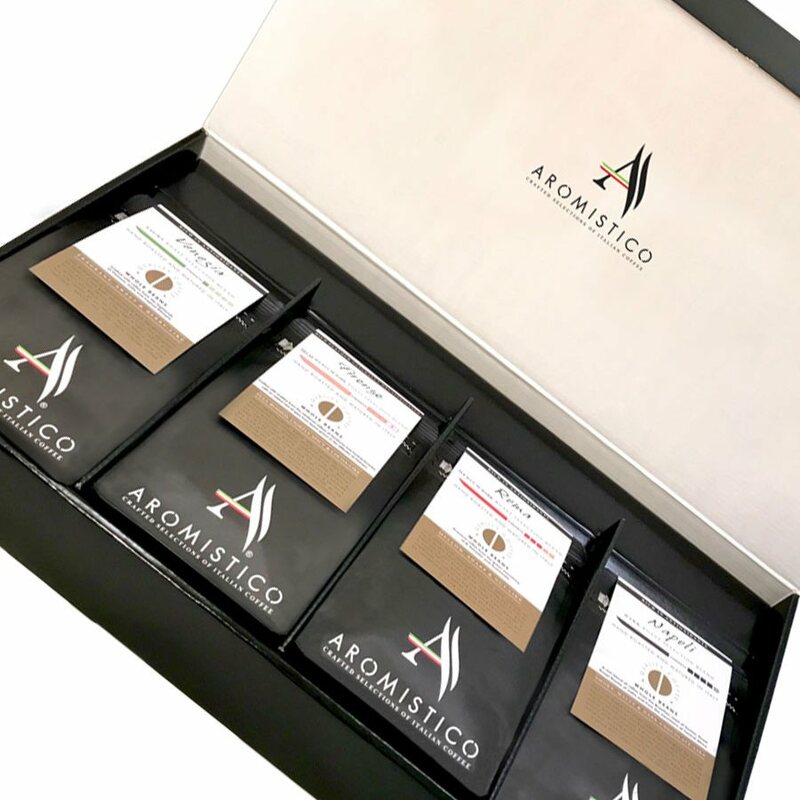 To best ensure you receive fresh gourmet coffee, we roast and ship to the UK regularly in small batches: our aim is for you to experience the real difference of Italian freshly roasted coffee.A perfect present for all coffee lovers. Make an impression with our luxurious coffee set and take them on a 'trip through Italy'. All blends suitable for espresso and Italian Moka, but also for brewing with a filter cafetiere / French press, pour-over dripper or Aeropress. QUALITY COFFEE HAND ROASTED AND MATURED IN ITALY: We offer the best quality of coffees from around the world, selected with a devotion for traditions, to create unique and unmistakable Italian blends, full of aroma and with a signature aftertaste. 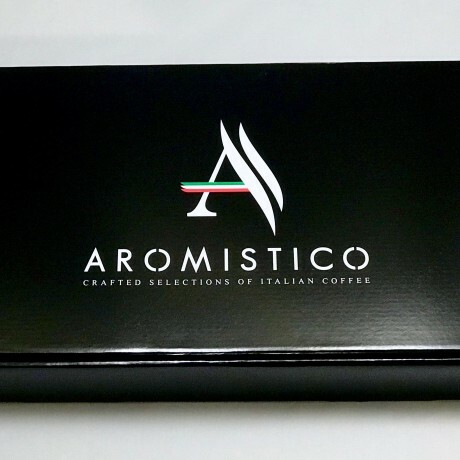 We are a small independent Italian family business with an original and true artesian passion for quality Italian coffee. All our coffee is hand roasted in Italy in small batches and it is left to dry and mature in the Italian air of the Lake Garda region. 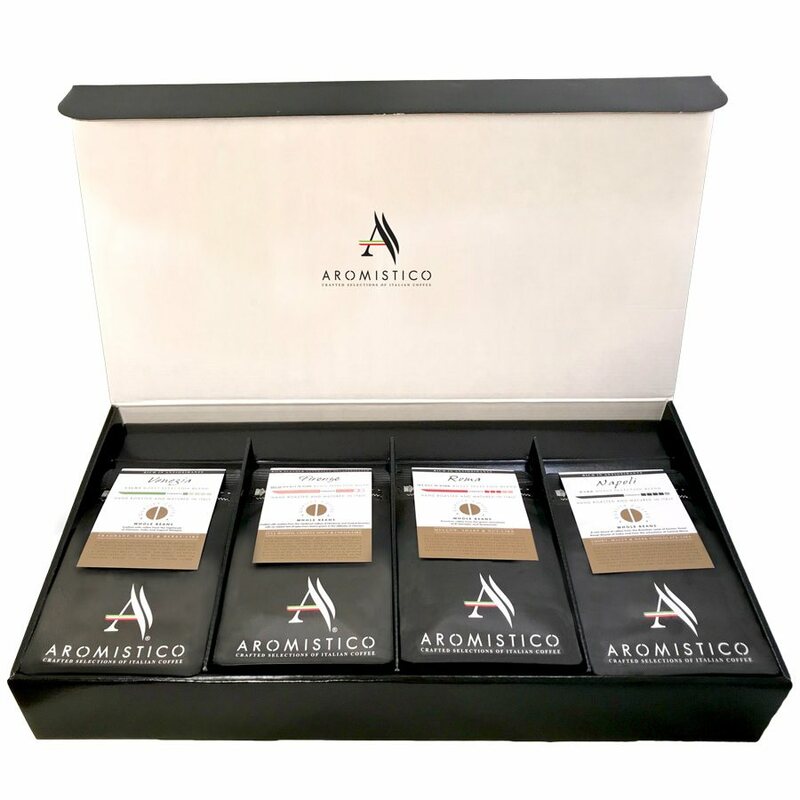 Distinguished coffee flavour and its aftertaste are not only determined by the beans and their roast, but also by all the basic surrounding elements like air, temperature, climate and water. 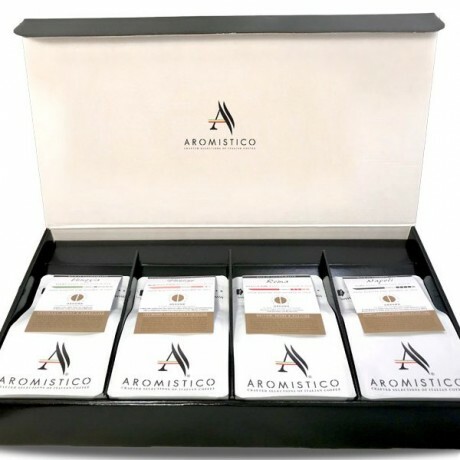 Aromistico coffee allows you to bring a little piece of Italy and its history into your home. Using carefully balanced and crafted combinations of quality Arabica and robusta, with Aromistico we have developed distinct Italian blends all different in strength and with distinguishing notes, but with a reoccurring aftertaste theme. 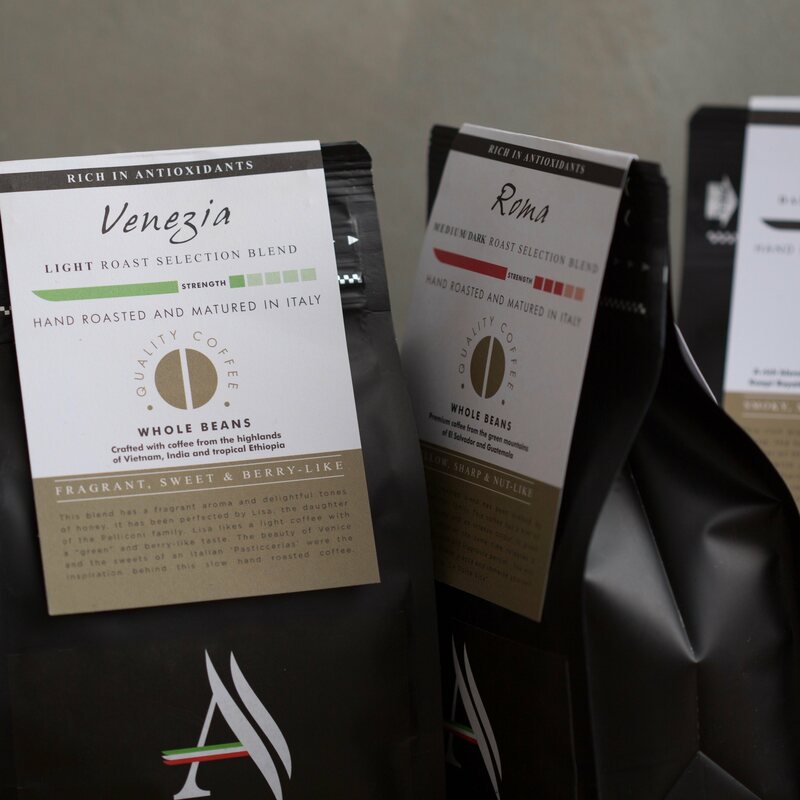 We hand roast each blend in our small roastery located in the beautiful region of Lake Garda, Italy. 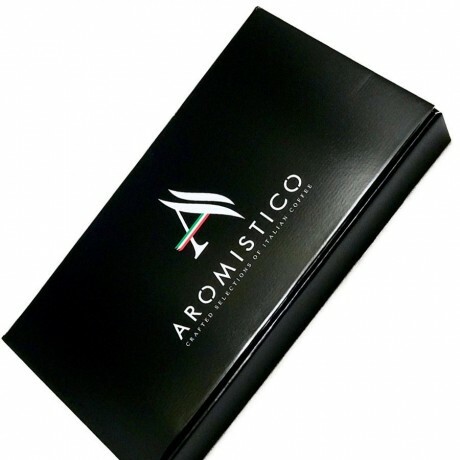 Aromistico has pronounced respect for traditions. Our in-house coffee roaster has been used for over 40 years and it even once used to operate by wood burning.As true artisans, all luxury gifts boxes are wrapped individually by hand. All our coffee is hand roasted in Italy in small batches and it is left to dry and mature in the Italian air of the Lake Garda region.